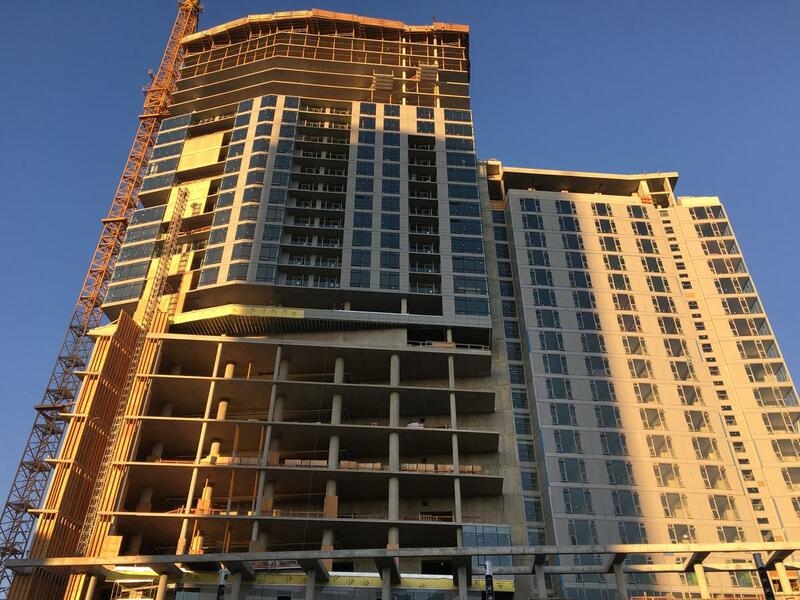 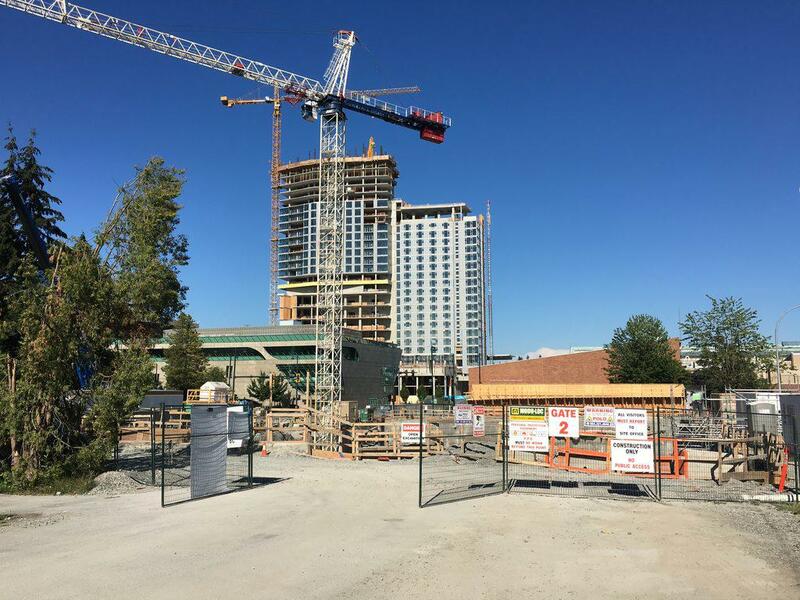 MacDonald Development / Reliance Properties’ Prime on The Plaza has begun its rise over the past few weeks. 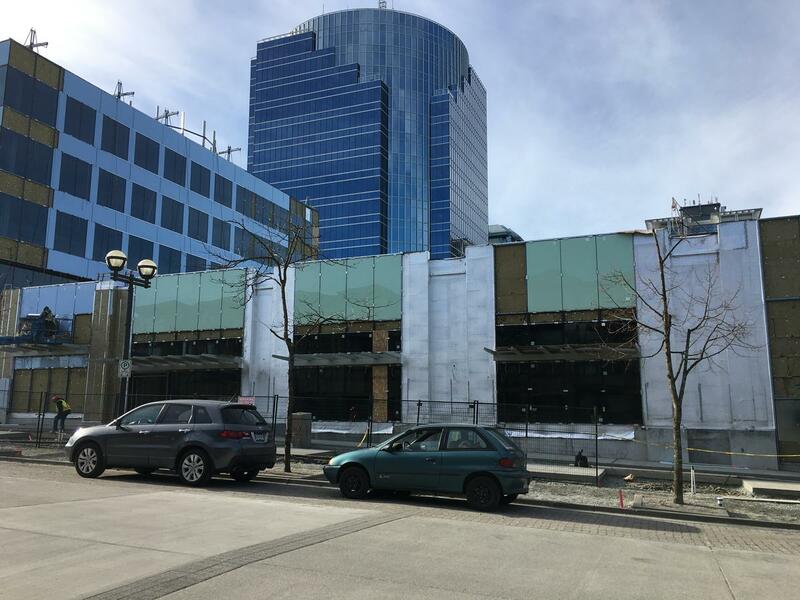 As of February 23, the retail / townhouse podium of the building had reached 2 storeys, and is now starting to transform the streetscape along University Drive. 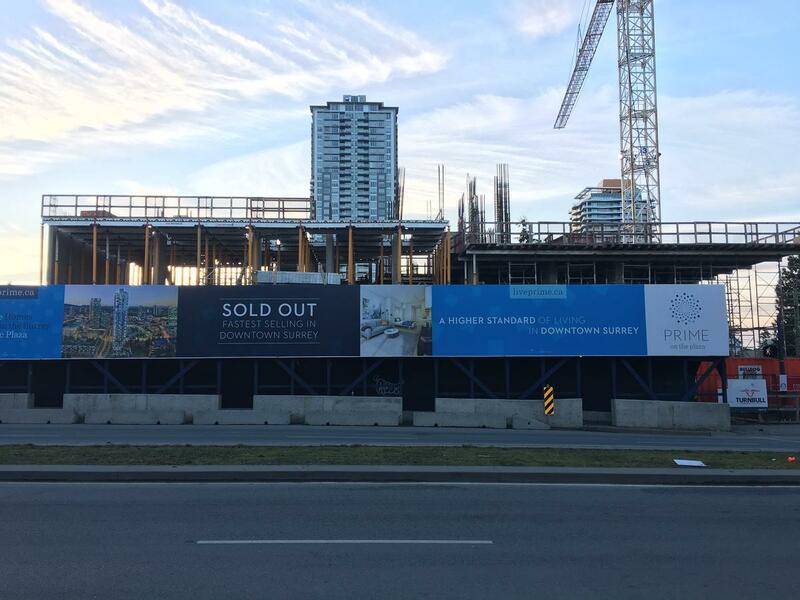 The podium, which will contain retail fronting University Drive, and townhouse units fronting 103 Ave, will soon rise to a height of 4 storeys before transitioning to the tower portion of the building, which will then rise to 37 storeys. 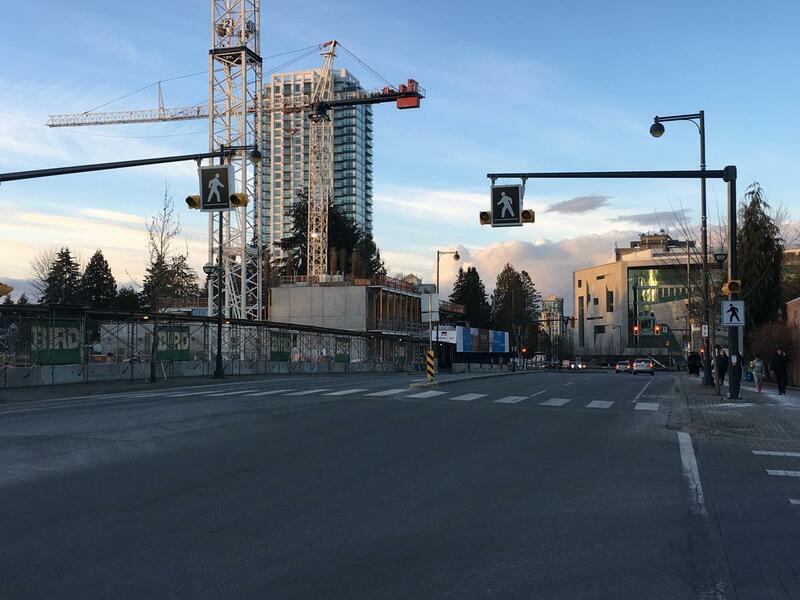 When complete, the building will anchor a newly created corner intersection at future 103 Avenue and University Drive. 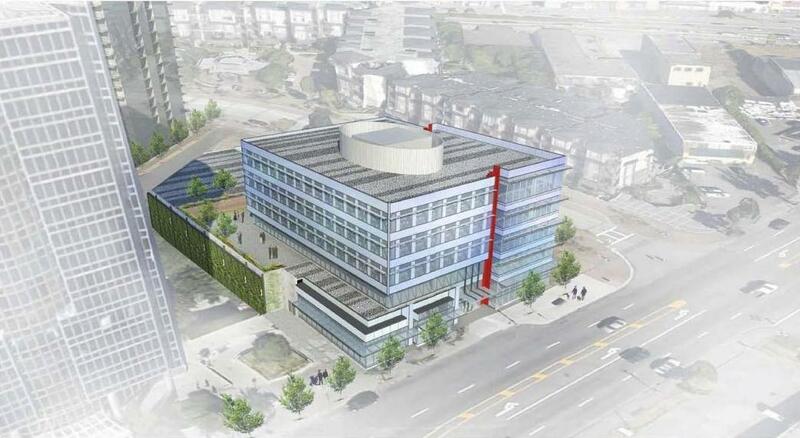 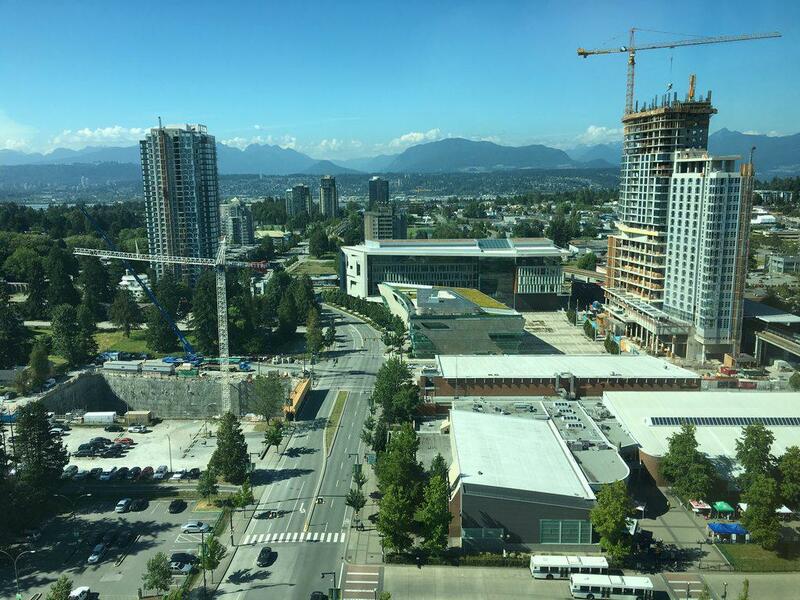 It will also directly abut the future SFU Sustainable Energy and Environmental Engineering building, currently under construction to the south. 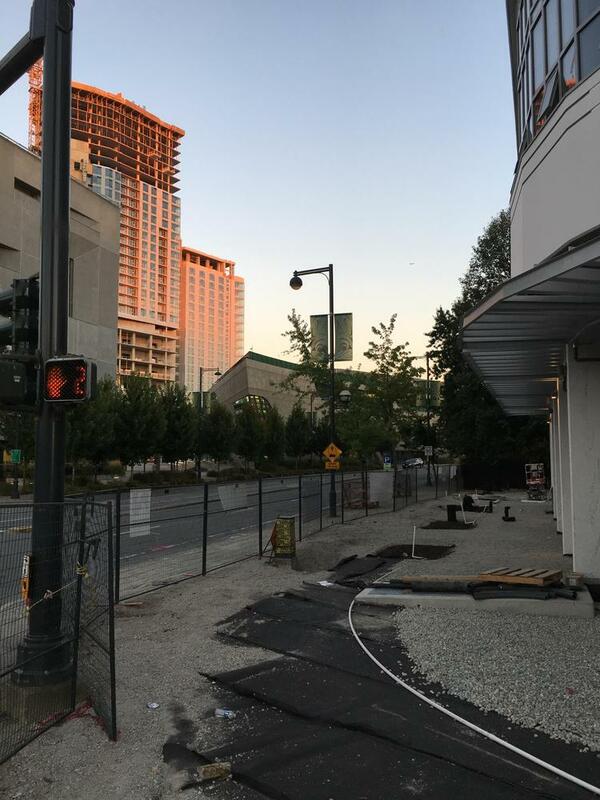 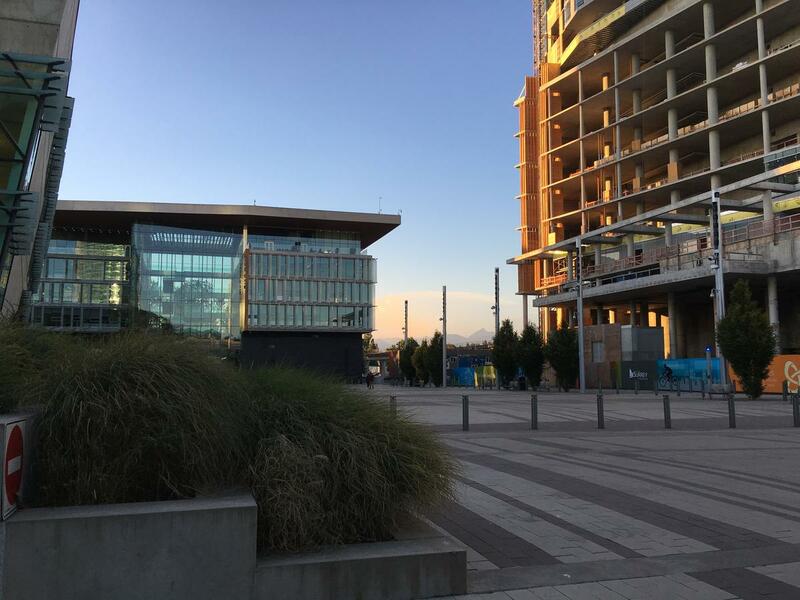 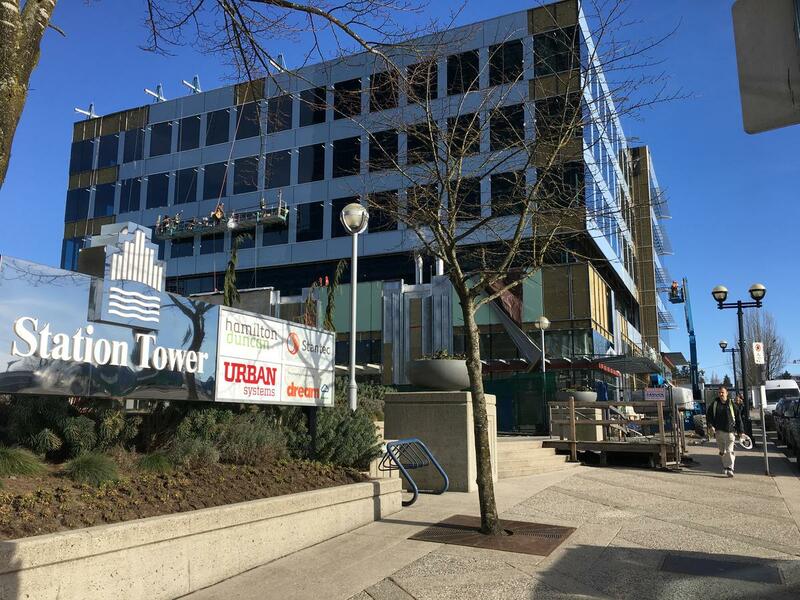 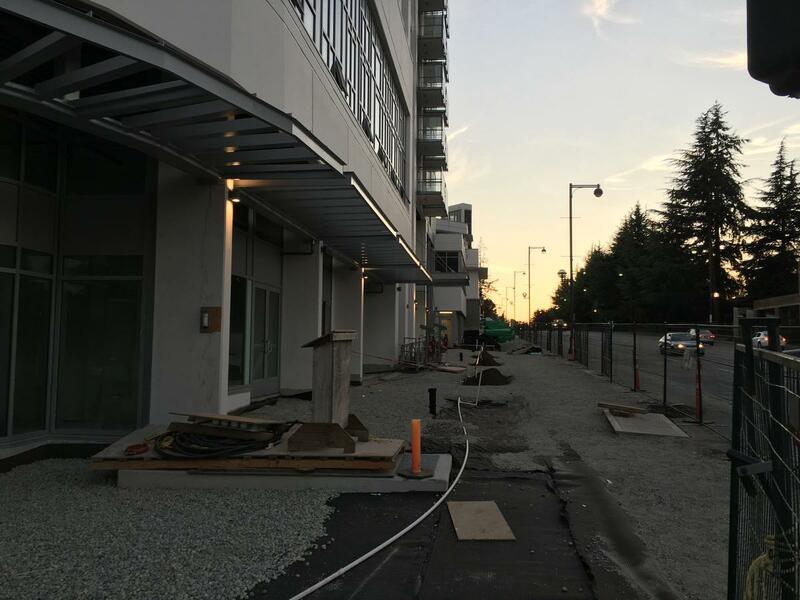 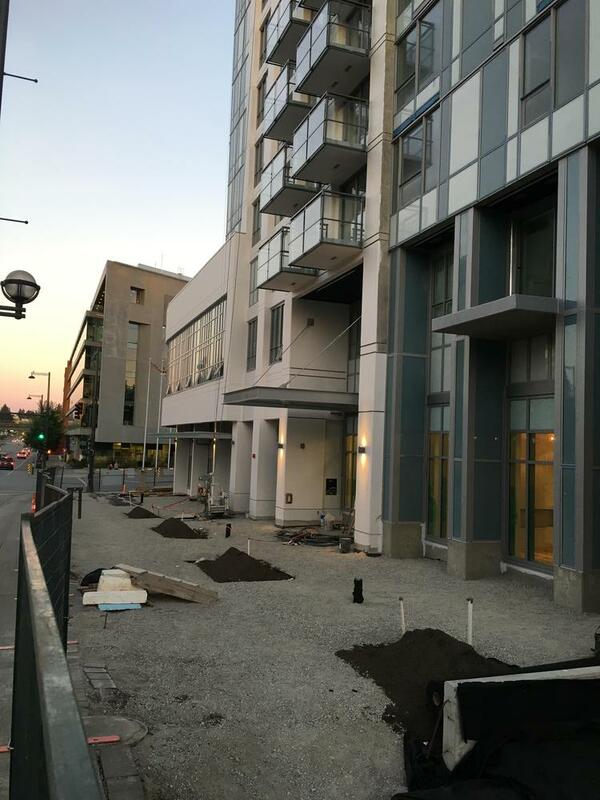 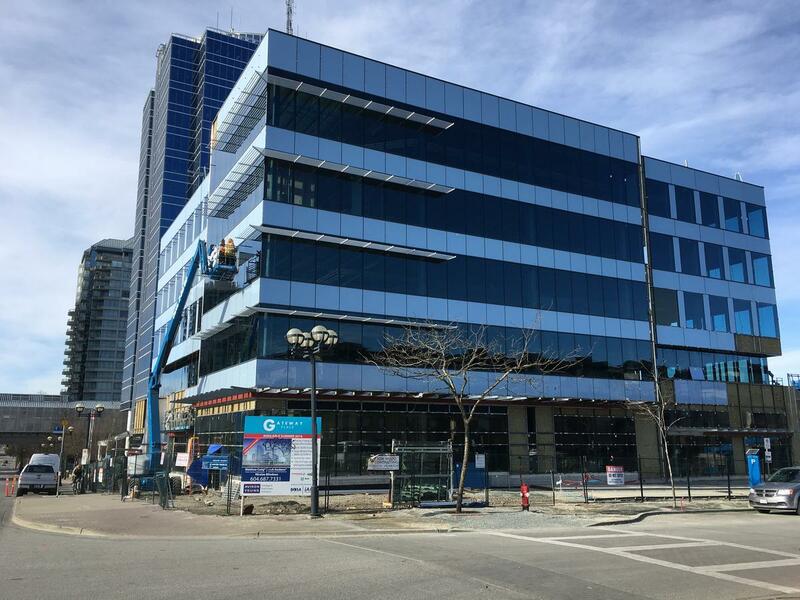 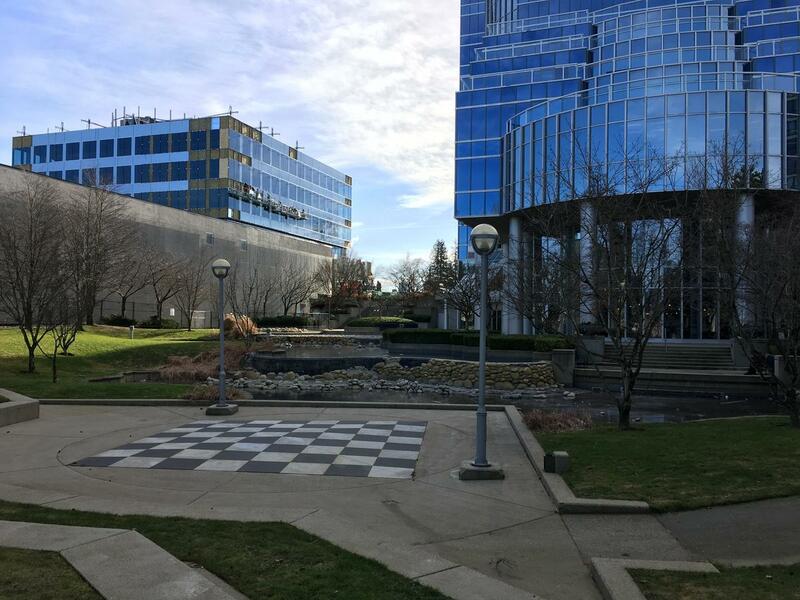 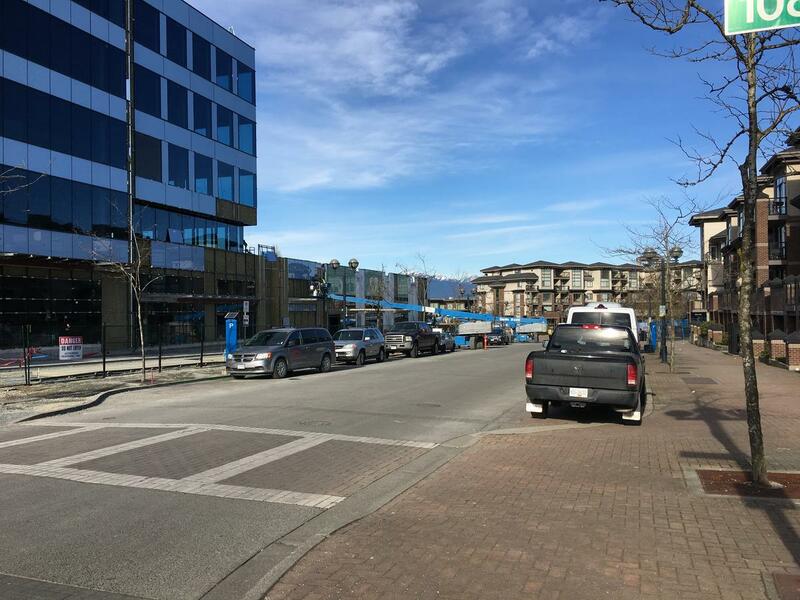 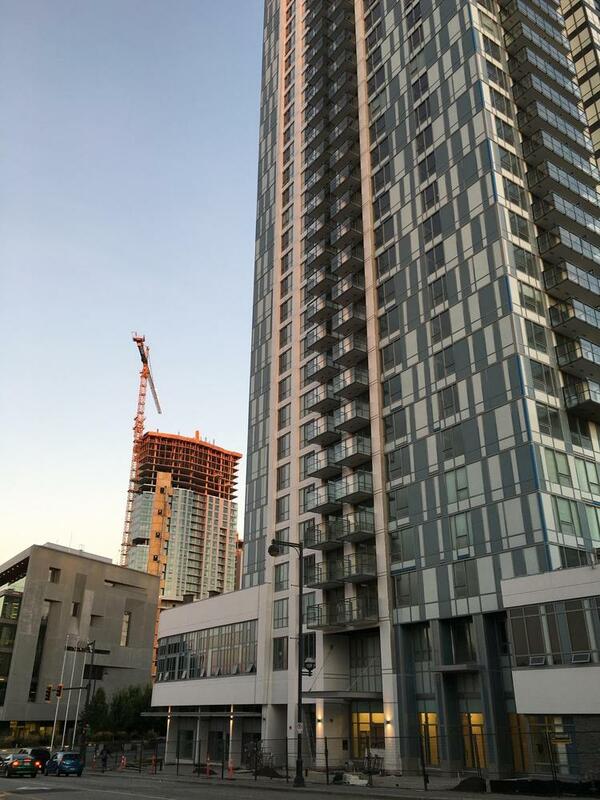 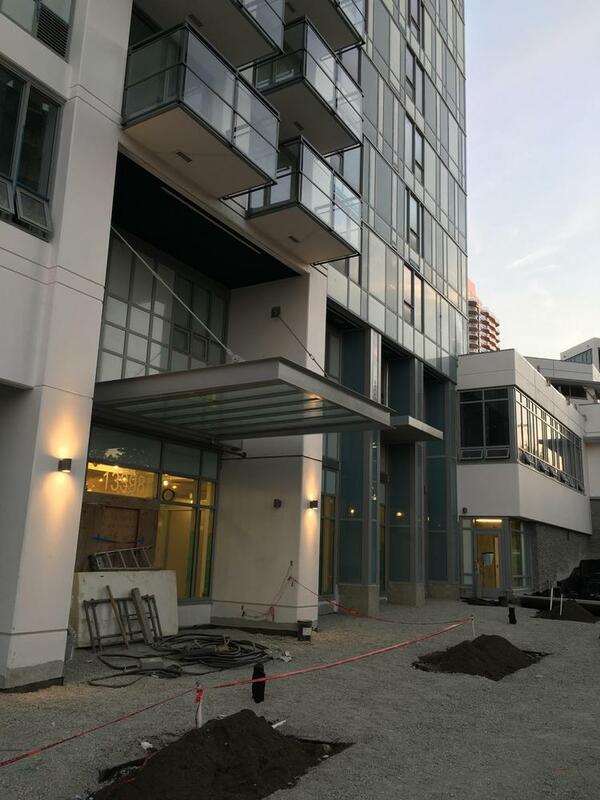 BOSA Properties’ Gateway Place is nearing completion at 108 Ave & City Parkway near Gateway Skytrain Station. 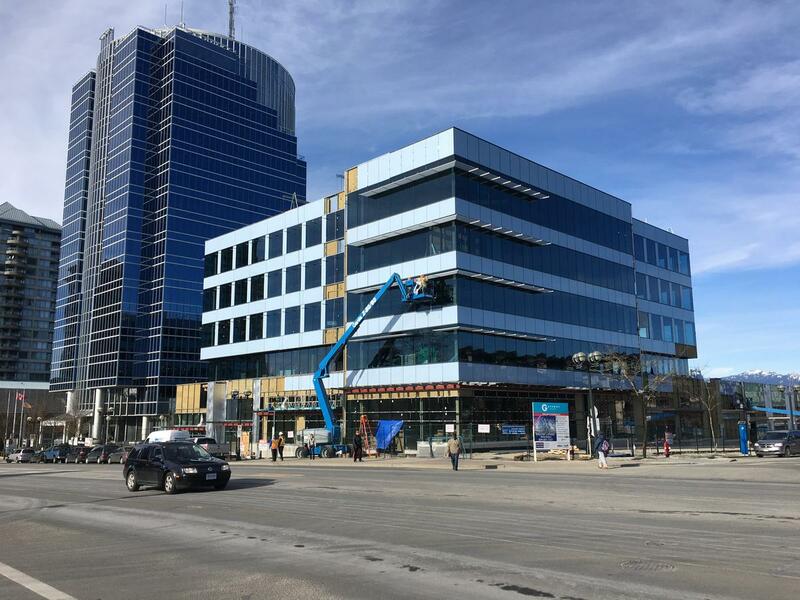 The 5-storey office and retail building which began construction back in 2015 was originally scheduled for completion in Summer 2016, but with slow-pace of construction, is now more on track for a Summer 2017 completion. 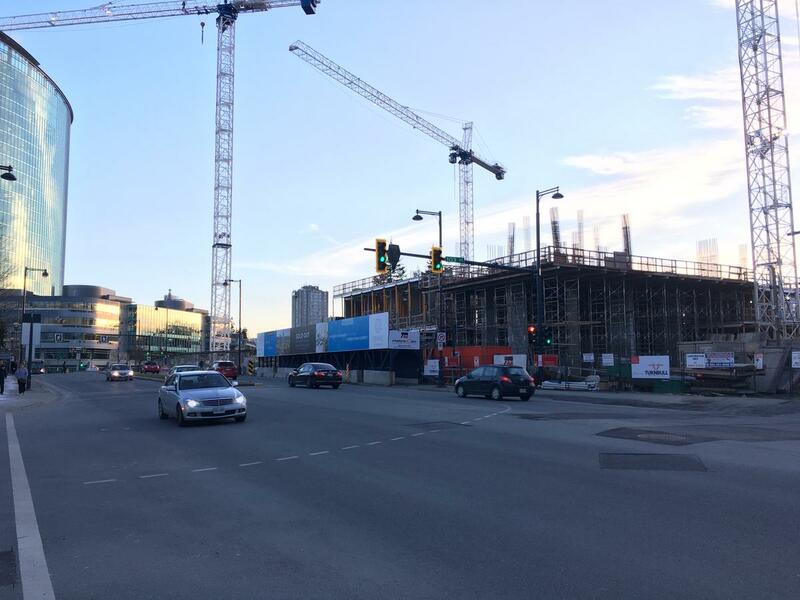 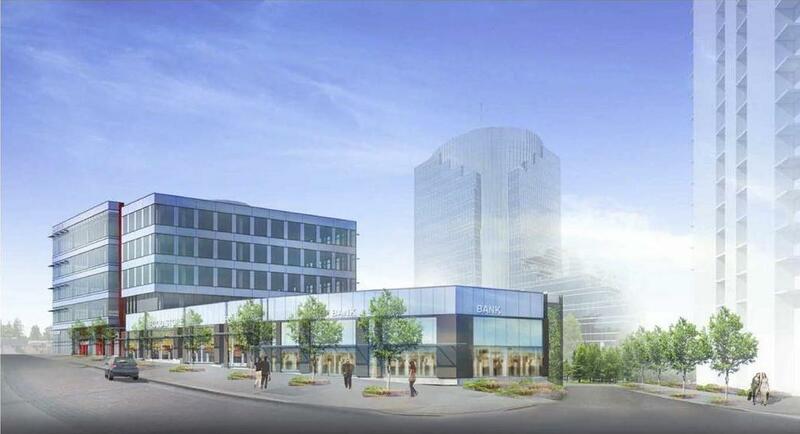 When finished, the building will house 4 levels of office over ground floor retail, with a Nesters Market, Shoppers Drug Mart, and TD Bank already signed on as tenants. 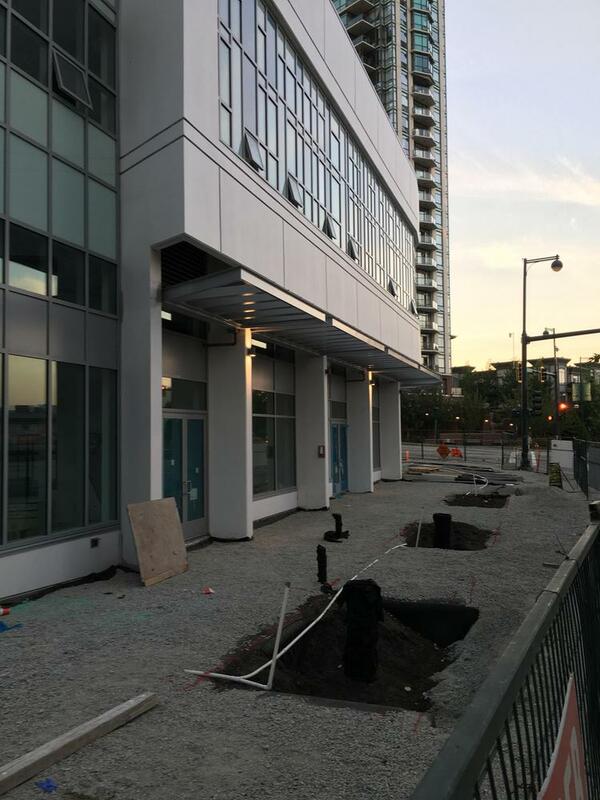 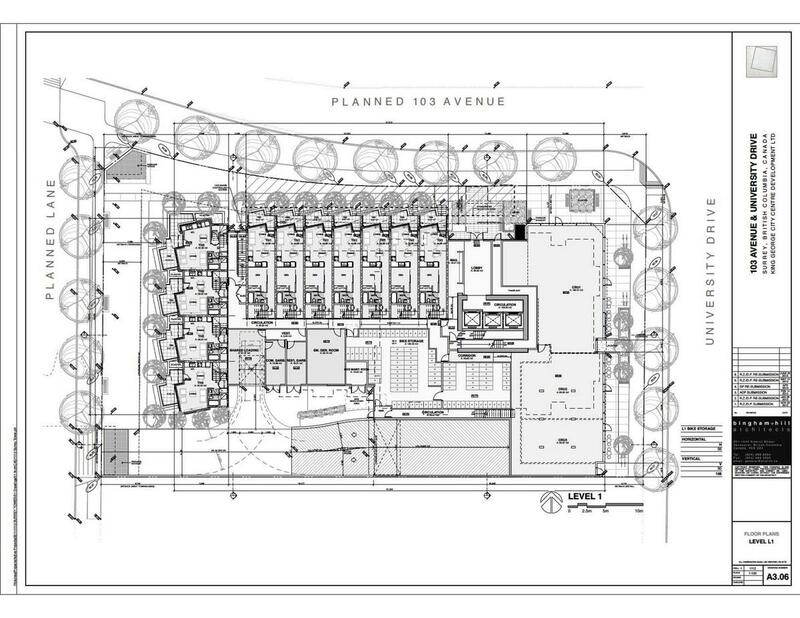 Designed by IBI Group Architects, the building will bring an improved urban streetscape to the area, with high quality landscape design and materials to be included as part of the sidewalk along City Parkway. 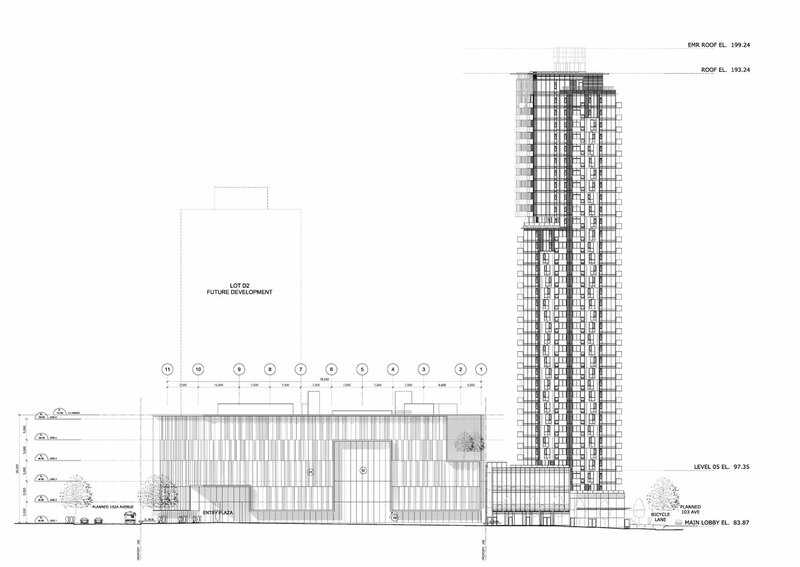 The building will also feature a living green wall along its western side facing Station Tower and the SkyTrain. 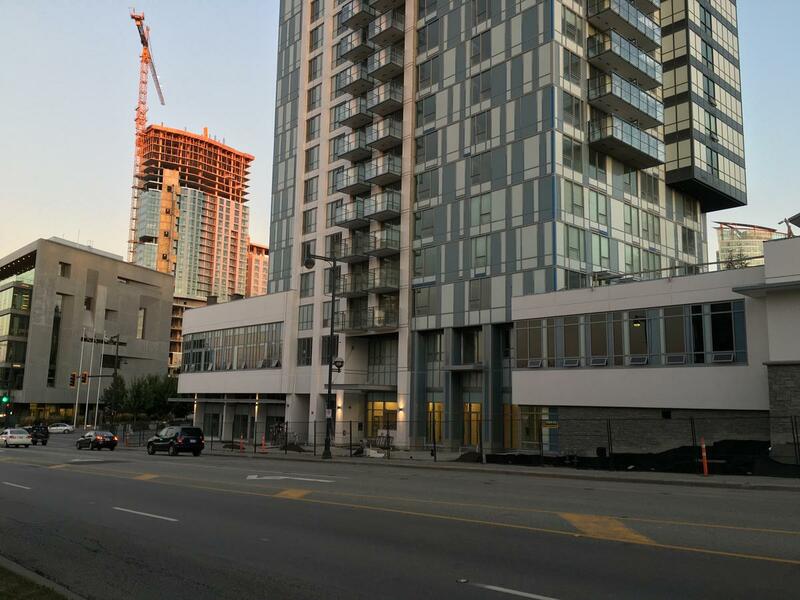 The building is Phase A of a 3-Phase development which will see 2 high-rise residential towers constructed directly north of the retail podium along City Parkway as future Phases B and C.
Bosa Properties’ University District is progressing with work continuing on the interior as well as balconies, exterior finishing touches, and sidewalk. 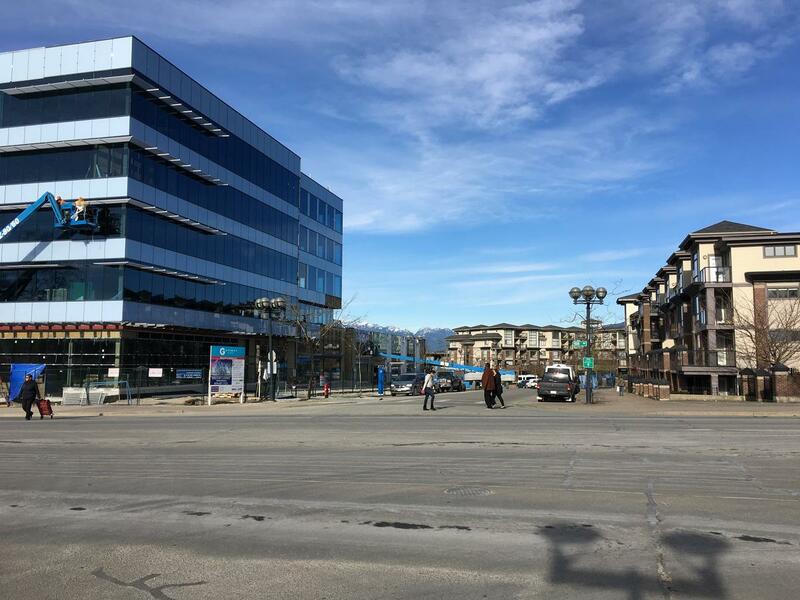 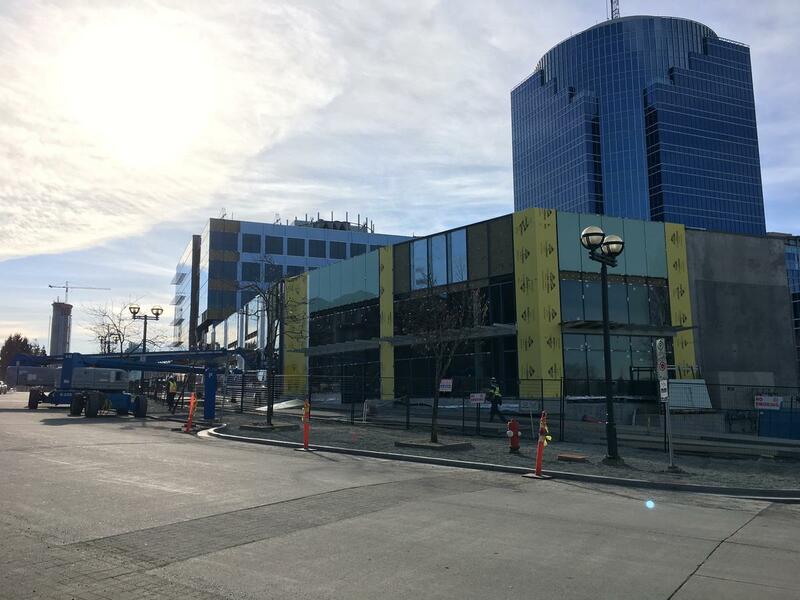 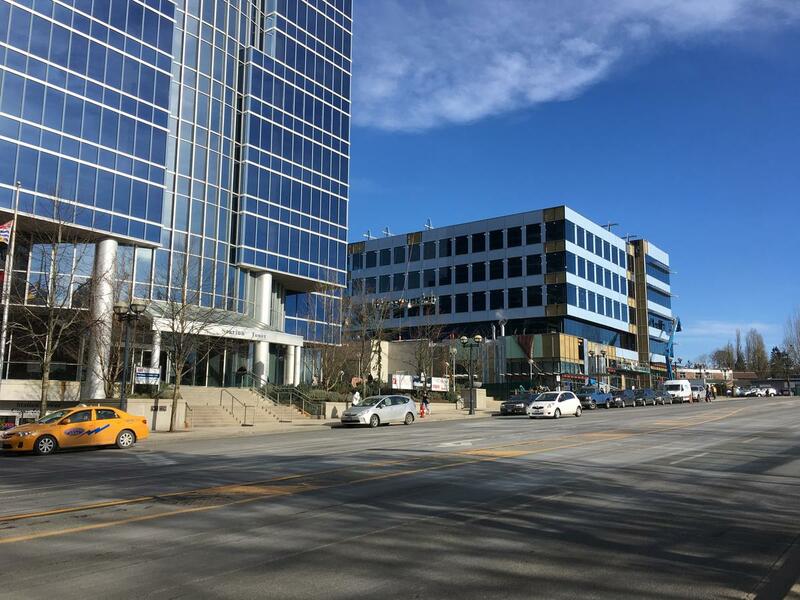 While not scheduled for completion until later this year, the building has already transformed the area, creating a very urban, downtown streetscape along 104 Avenue, which will only improve with opening of the building’s retail. 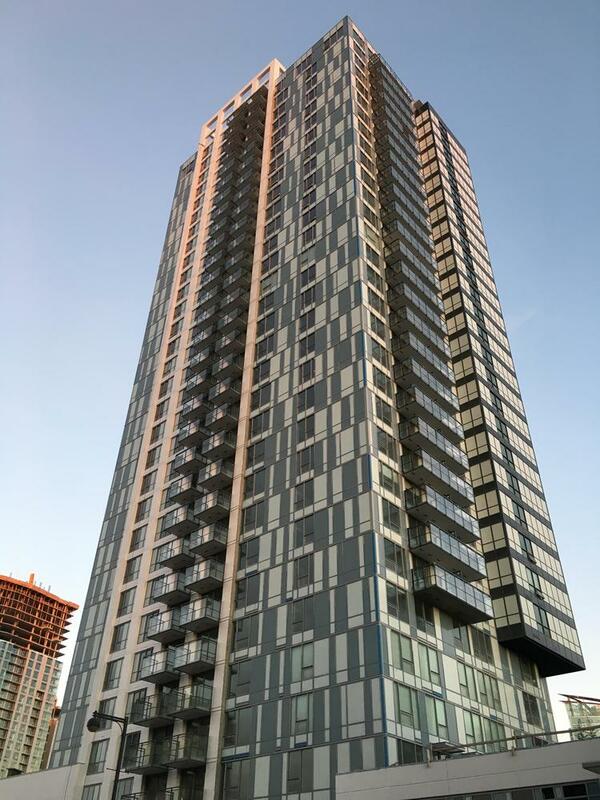 According to Form Leasing’s website, there are 5 units available which have not yet been leased. 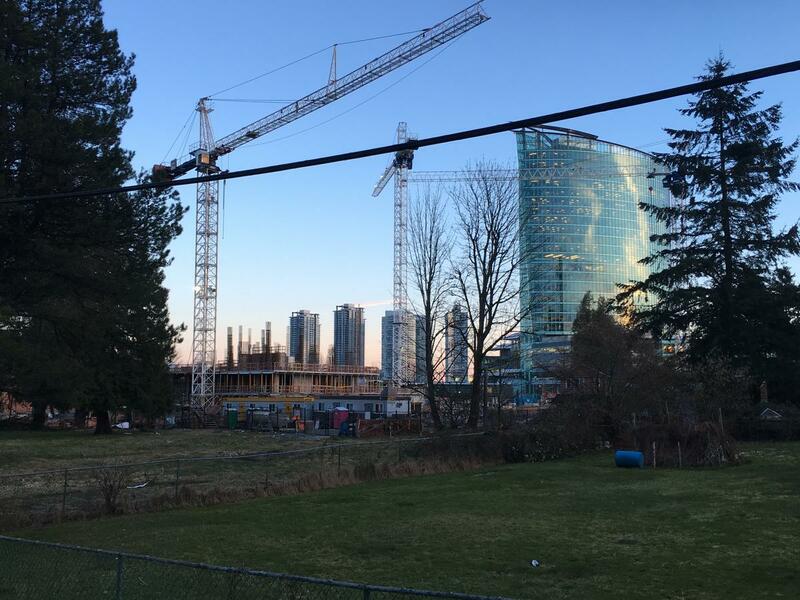 A quick photo update of the 3 Civic Plaza development in Surrey City Centre which is now starting to dominate the area and skyline. 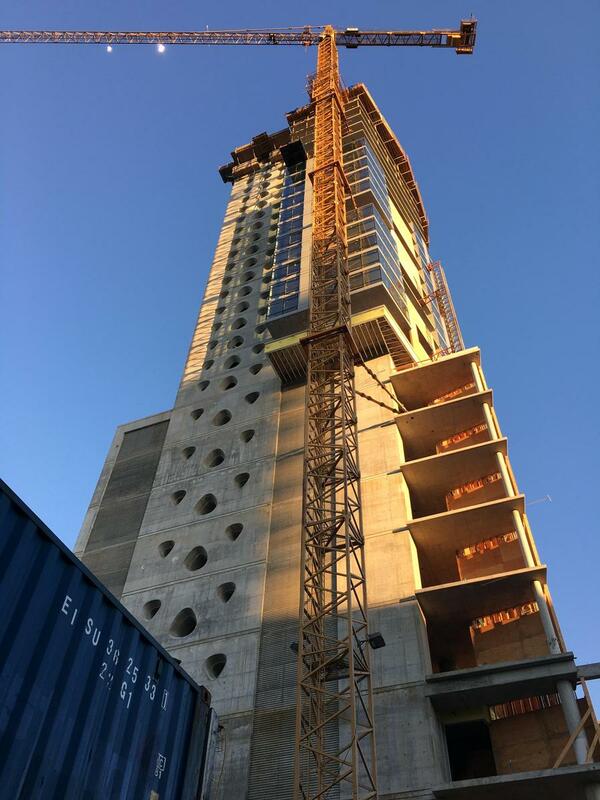 The building has now reached 31 levels in height and will continue to climb until it reaches its final height of 48 stories, by the end of this year. 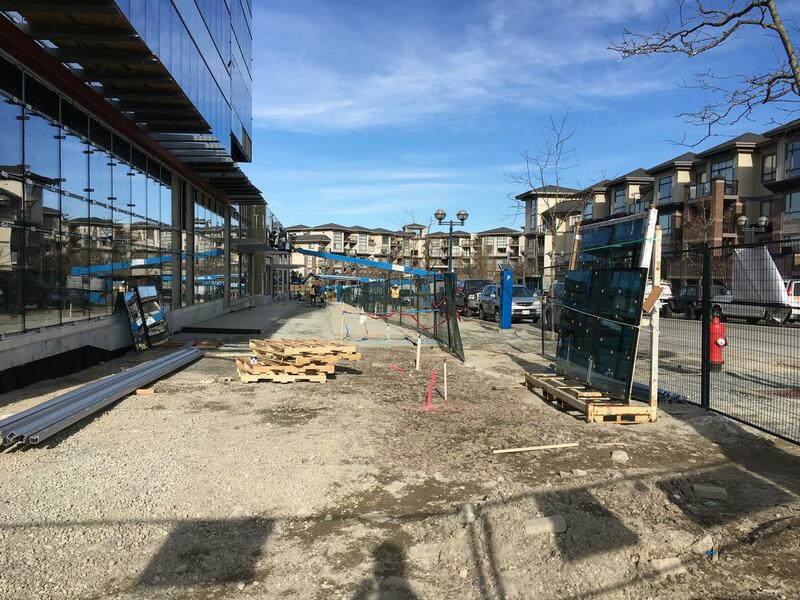 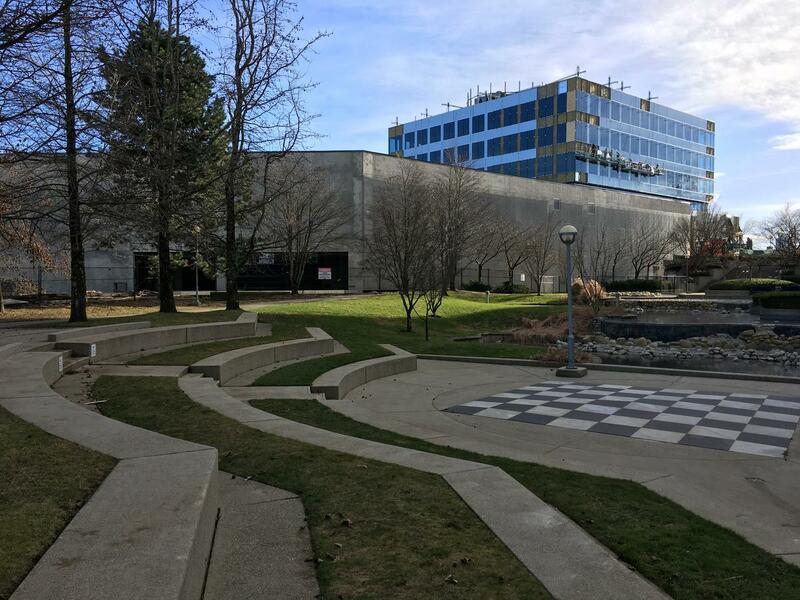 When complete, the building will be heavily mixed-use, containing a Marriott brand Autograph Collection Hotel, condominiums, office space, a satellite campus of Kwantlen Polytechnical University (KPU), a health club, restaurant, and retail. 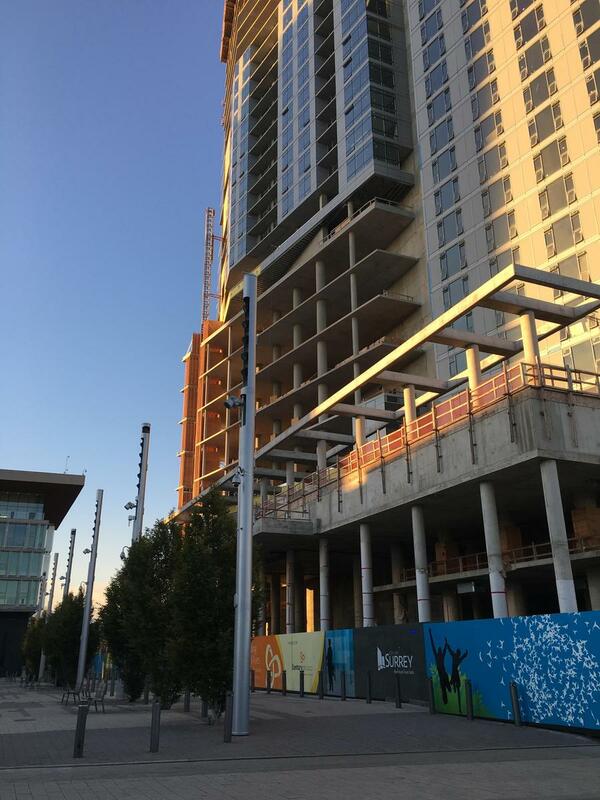 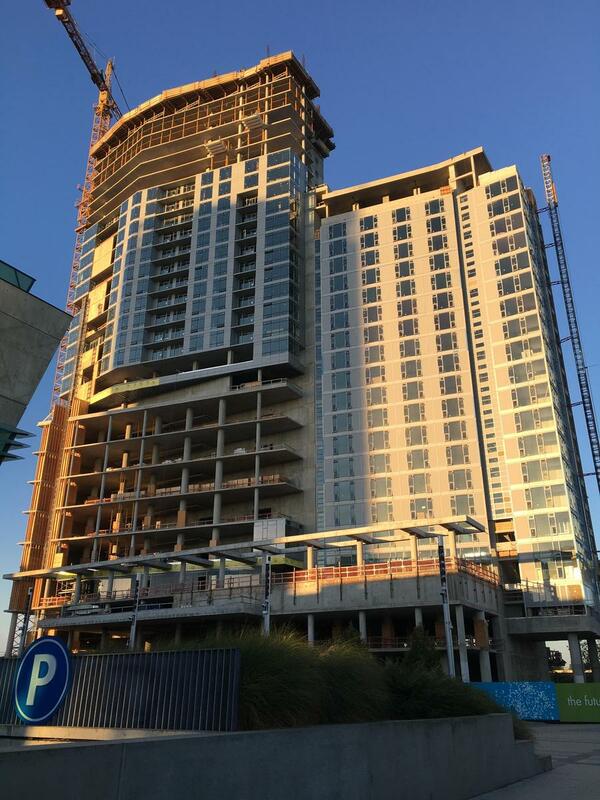 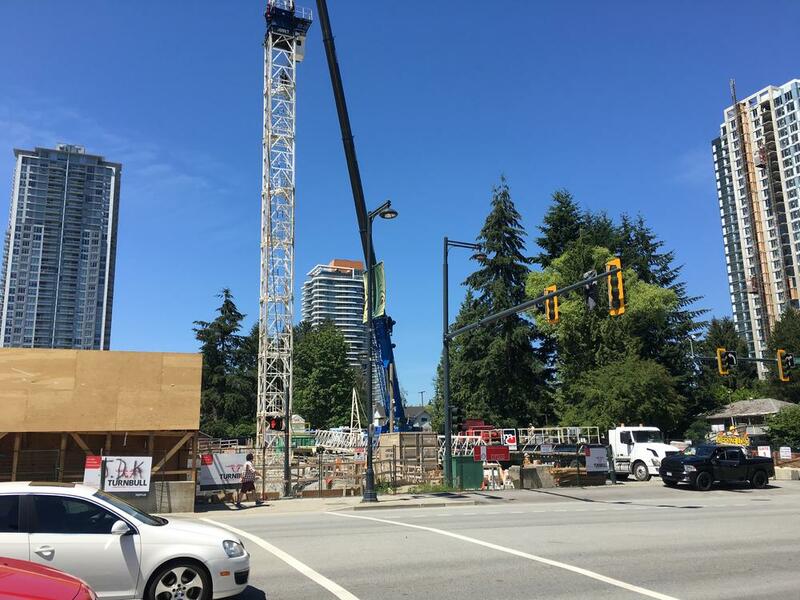 The crane has now been installed at the Prime on the Plaza project on University Drive and 103 Avenue. 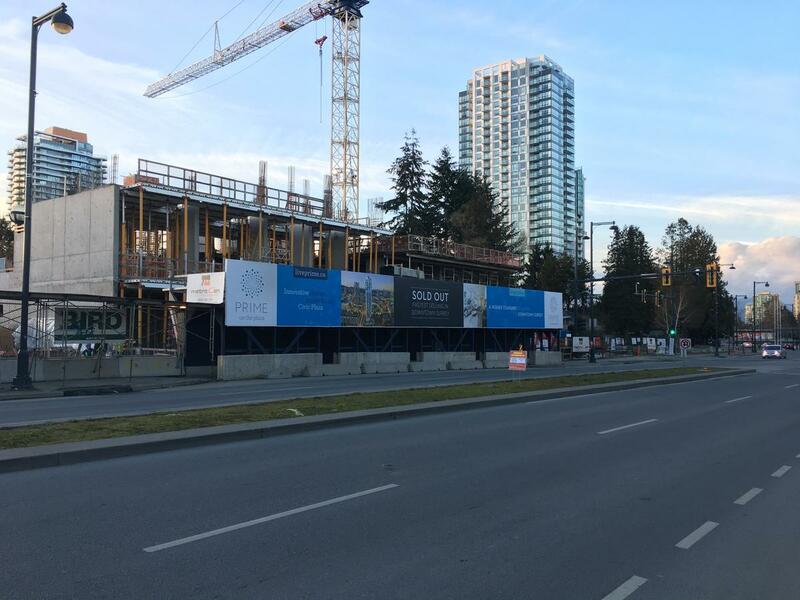 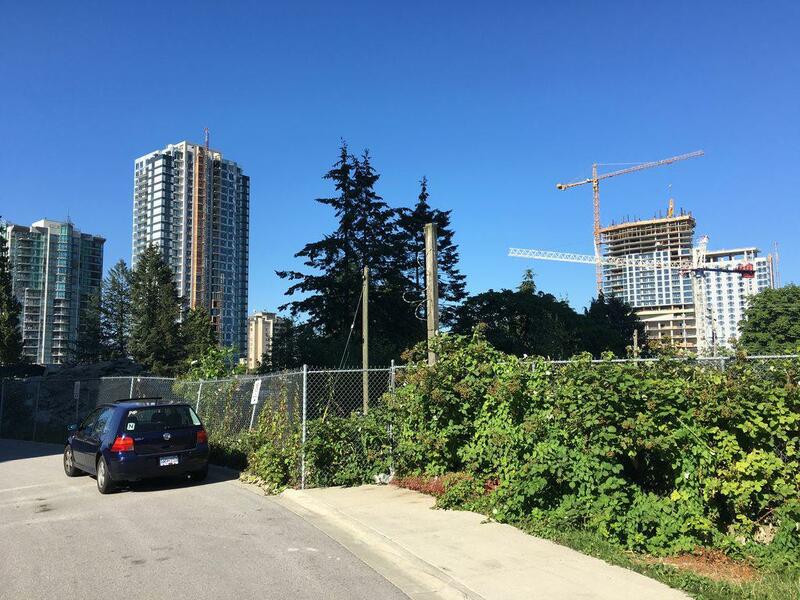 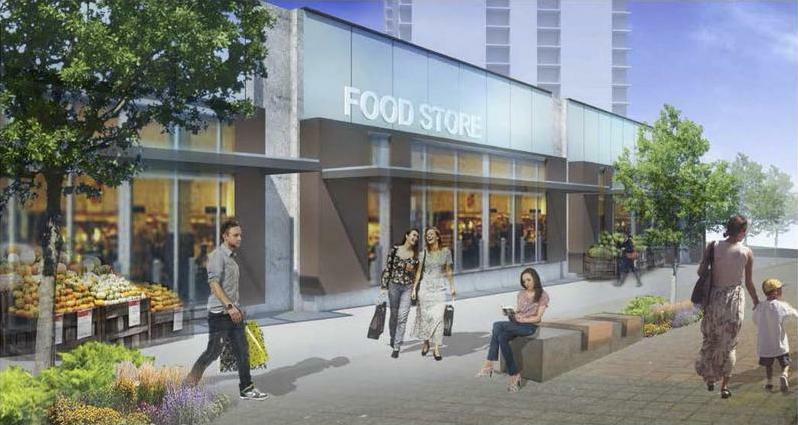 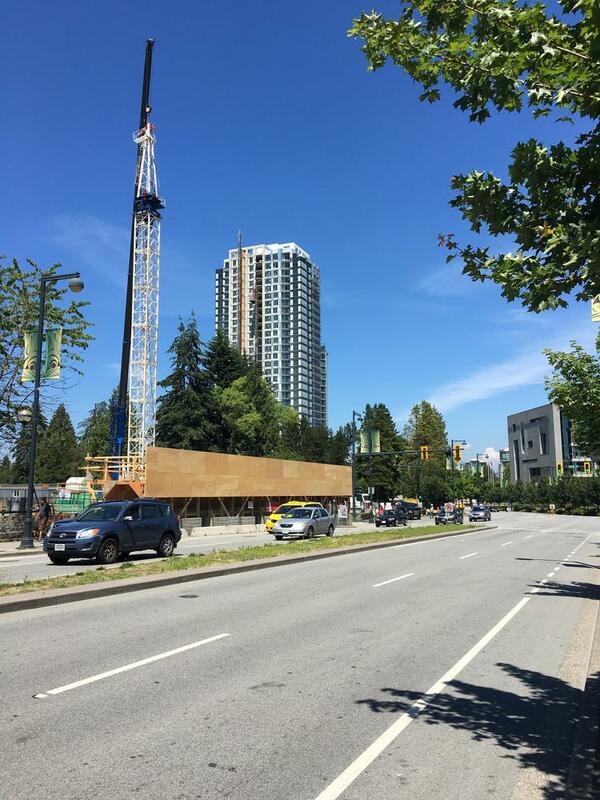 Prime is a 37-storey mixed-use retail and condominium development across from Surrey City Centre Library and Civic Plaza that is expected to be completed in 2018. 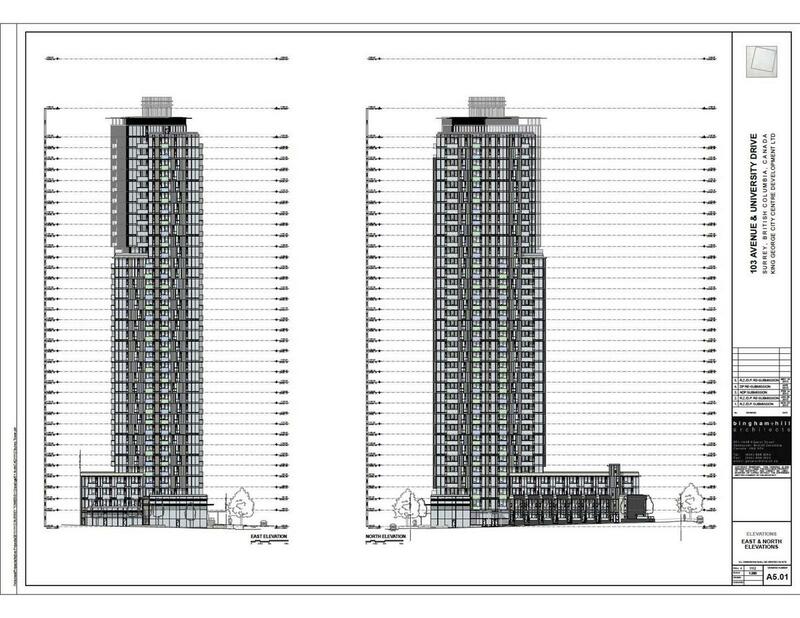 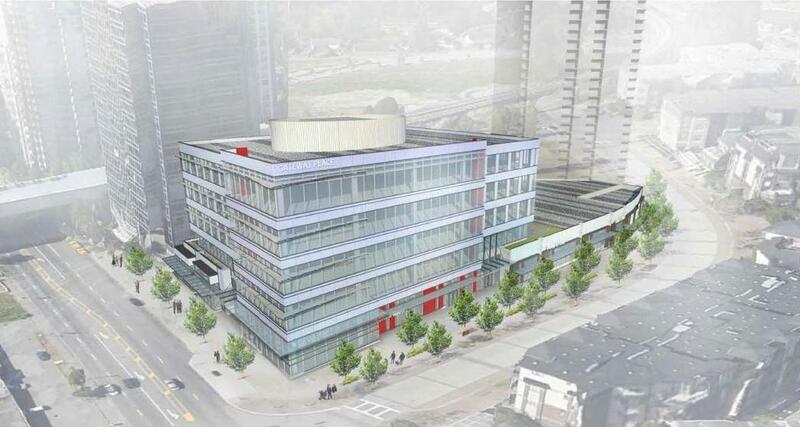 The project will add nearly 400 tower residential units as well as street-fronting retail and townhomes.